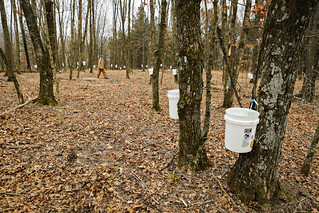 Mizzou students produce maple syrup at Baskett Wildlife Research and Education Center. Around 100 sugar maple trees were tapped to harvest the sap. The collected sap is then boiled and turned into syrup.